Any mother will tell you that if you manage to find the time to blow dry your hair in the morning and get through the day without ten strong coffees, you’re a bloody rock star. Factor in multiple children and work, and things start to get pretty frenetic. In my case, I can’t complain too loudly. I have a hands-on husband who, despite managing his own busy career, is always an equal parent and a great dad to our little boy. My son is two and enjoys spending time at nursery (terrorising the staff, no doubt) which allows me to ring fence blocks of time during the day when I can work, too. Despite what some people imagine the life of a writer to be, it isn’t all that glamorous! Like any self-employed job, there are long periods of time spent at a desk, with only your fictional characters for company. Then, there is the act of being persistently creative, which can be both a joy and a curse. Finally, there is the crippling self-doubt which comes from putting that creative product ‘out there’ in the real world, where people can heap plaudits or shred it to pieces, depending on their mood. Why do you do it? I hear you cry. Well, it’s for the simple love of writing stories. I was a lawyer in London before deciding to change career, and almost as soon as I got into the flow of writing I knew that I had made the right decision. The process can be frustrating and there is a lot of hard work involved, but the benefits far outweigh the costs in terms of personal happiness and a flexible working life. 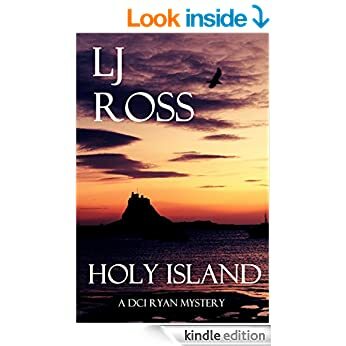 After my first novel, ‘Holy Island’ was published in January 2015, my jaw fell to the floor when it reached the UK #1 spot the following May in the Amazon charts. When I wrote that book, I wasn’t at all sure how it would be received and certainly hadn’t thought far enough ahead to consider that it might form the basis for a series of Northumbrian murder mysteries. Yet, when it was received so kindly by readers around the country and internationally, and people wrote to me to ask if there would be more of DCI Ryan, I began to think about the possibility. I was clear on the fact that I would only write a sequel if I felt there was a genuine story to be told; it needed to come organically, rather than being something formulated only for commercial gain. Well, I think I’ve been bitten by the writer’s bug, because now I can’t seem to stop imagining new mysteries. 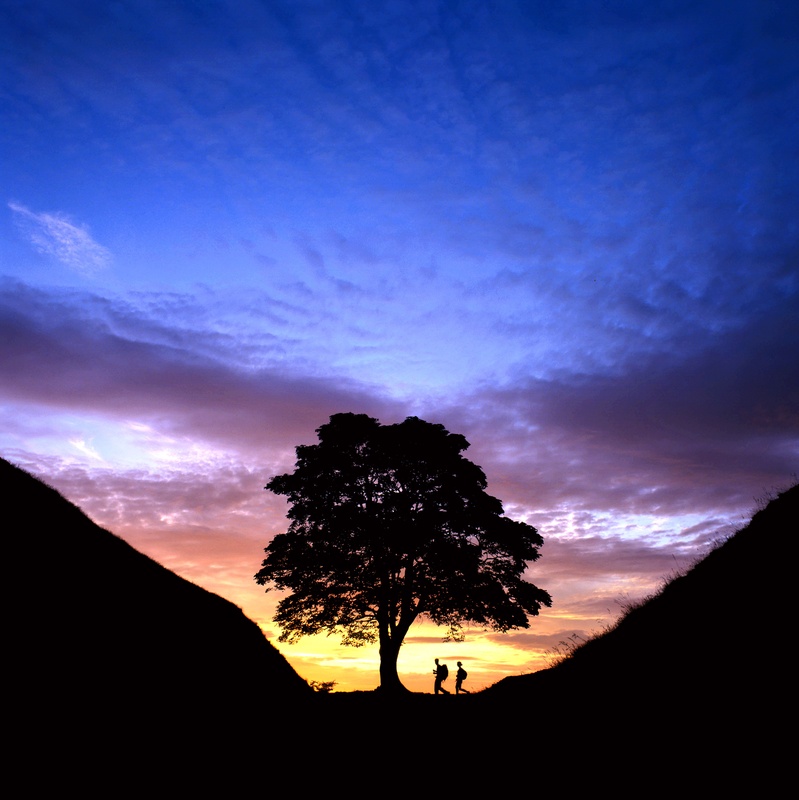 For me, the ideas flow from the landscape of Northumberland and its surrounds: the first novel was named after the atmospheric island of Lindisfarne and the second, ‘Sycamore Gap’, after that iconic spot on Hadrian’s Wall made famous in Robin Hood: Prince of Thieves. The third in the series, ‘Heavenfield’ is named after the tiny, remote church of St. Oswald’s, also in Hadrian’s Wall country. The scenery is my muse and so, for as long as the stories keep popping into my mind, I’ll be happy writing them. But, are there certain rules to abide by, when writing a series? As with any practical advice on the topic of writing, this is a highly individual thing. Each writer is different and their approach to writing stories reflects their own personality. In general, it is probably fair to say that the stories should flow and, depending on the type of series you are writing, you should bear in mind your audience and remain loyal to the characters you have created. When I say that, I mean that you should try to put yourself in the shoes of the characters and ask yourself: ‘what would be likely to happen in their lives, next?’ Thinking along these lines usually helps with the flow of a story, when your planned outline comes to a bit of a shuddering halt with the dreaded writer’s block. Yes, it is a real thing and, no, you cannot always predict when it will strike! Should each book in a series also be capable of being read as a standalone? As the characters develop through each of the books in the series, it becomes increasingly difficult to create standalone stories unless each book truly encapsulates an entirely new theme. For example, in the first three of my DCI Ryan series, I included a secondary thread relating to a cult circle, which was never designed to continue indefinitely and needed some form of resolution by the third book. This brings a sense of satisfaction to both me and my readers and with the fourth book, I am looking forward to re-introducing my main characters in the context of a new and exciting mystery. The one potential drawback to writing a series is that, as the stories and characters progress, the fabric of their imaginary lives becomes more complex and will require a strong grasp of each so that you do not unwittingly drop a clanger! For, as with people in the real world, the reader will immediately notice if your detective says or does something that is noticeably out of place, or if he grows ten years older, overnight. 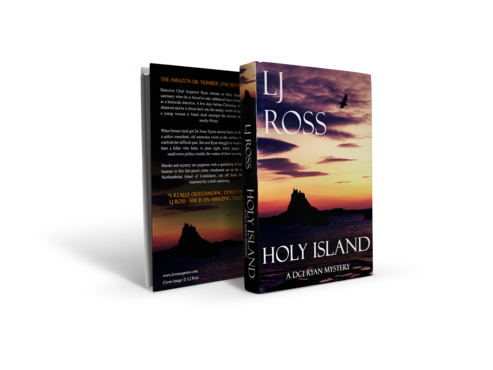 Post your entries as a comment here or on my Facebook L J Ross Author page here and the winners will be chosen on Friday 17th July. 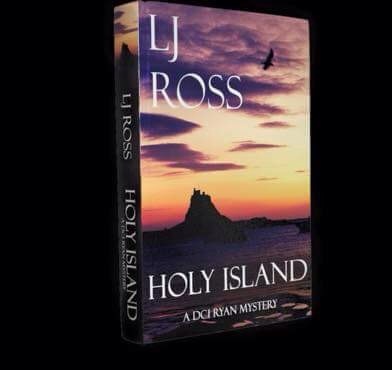 Paperback version of ‘Holy Island’ coming very soon, more updates to follow.